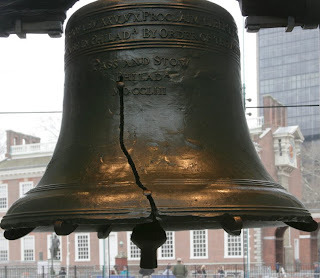 APHA is headed back to good ol’ Philadelphia, city of brotherly love, home to a cracked copper bell and temptress of gooey cheesesteaks. With a theme of “Water and Public Health,” the 137th APHA Annual Meeting will take place Nov. 7–11 at Philly’s Pennsylvania Convention Center. Online registration for the Annual Meeting opens June 1, and those who register by Aug. 28 can save some major bucks. And since you’re already reading this blog, why not sign up to receive regular updates in your e-mail? We’ll be in Philly with you posting daily entries during the Annual Meeting, covering everything from scientific sessions to public health celebrations to, hey, where’d you get that gelato? And while you’re signing up for stuff, follow the APHA Annual Meeting Twitter for info on new speakers, sessions, happenings as well as all the fun stuff to do during your stay in Philly. Really looking forward to this meeting. Are any keynote or speciall sessions going to be webcast or youtubed? Hi GHI, There's sure to be video footage from this year's APHA Annual Meeting. Stay tuned for more info at www.apha.org/meetings. I'd love to know whether other APHA attendees are interested in meeting up to discuss blogging/new media in public health communications. I don't see any events scheduled were we can all get together -- casually, perhaps at around 5pm Sunday @ Tazia restaurant/bar. Other suggestions welcome. In reference to good clinical practice's video question....APHA offers E-ssentialLearning, http://www.apha.org/meetings/sessions/RecordedPresentations.htm, which features access to scientific sessions, and the association will be uploading fun videos to its YouTube channel, www.youtube.com/user/aphadc, during the meeting as well.